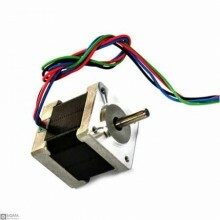 Features:Model: 17HS4401Frame Size: Nema 17Step Angle: 1.8 degreeCurrrent: 1.7AResistance: 1.5 OhmIn.. 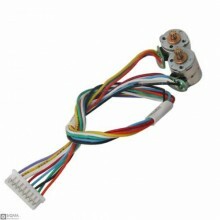 Features:Rated voltage:12VDCNumber of Pole:4Speed Variation Ratio:1/64Stride Angle:5.625° /64DC resi.. 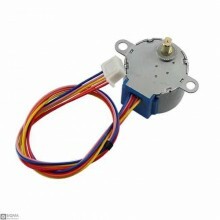 Features:Model ： 28BYJ-48Rated voltage ： 5VDCNumber of Phase ： 4Speed Variation Ratio ： 1/64Stride A.. 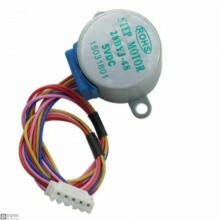 Features:model: 42BYGH403step angle: 1.8(°)Length:40mmRated Votage:2.4VRated Current: 1.65APhase Res.. 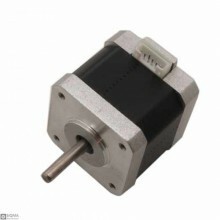 Features:Phase: 2Step Angle: 1.8° &nbs.. 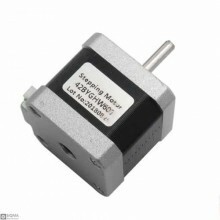 Features:Size: NEMA 17 (42mm x 42mm)Length: 40mmStep angle: 1.8 DegreesRated voltage: 3.4VCurrent/Ph.. 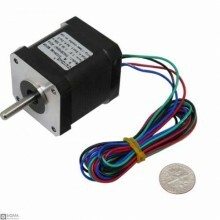 Features:Stepper motor diameter: 8 MMHeight: 8.2 MMType: Two-phase four-wireLong axis (blue: A +, bl..